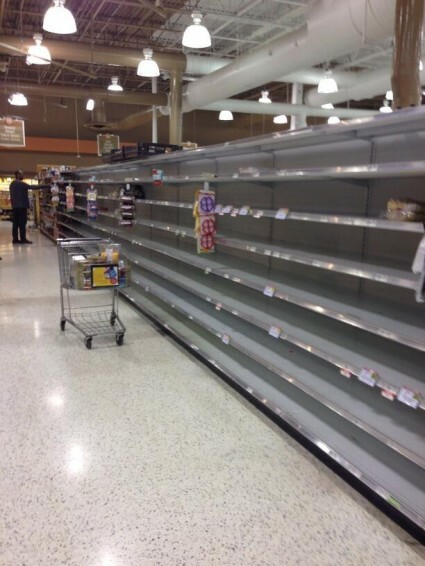 If an ice storm can cause this much panic in our major cities, what will a real crisis look like? The biggest news story in the United States right now is the “historic ice storm” that is hammering the South. Travel will be a nightmare, schools and businesses will be closed, and hundreds of thousands of people will lose power. In fact, it is being projected that some people could be without power for up to a week. But at the end of the day, the truth is that this ice storm is just an inconvenience. Yes, the lives of millions of Americans will be disrupted for a few days, but soon the ice will melt and life will be back to normal. Unfortunately, it doesn’t take much for people to start behaving like crazed lunatics. 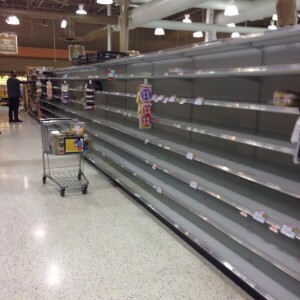 As you will see below, the winter weather is causing average Americans to ransack grocery stores, fight over food items and even pull guns on one another. If this is how people will behave during a temporary weather emergency, how will they behave when we are facing a real disaster? As I write about so frequently, the thin veneer of civilization that we all take for granted is starting to disappear. A whole host of surveys and opinion polls have shown that Americans are angrier and more frustrated than ever. Our society has become a ticking time bomb, and it isn’t going to take much for it to explode.